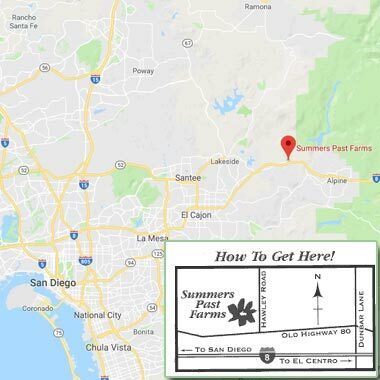 Summers Past Farms is a small family business nestled in the foothills just 30 minutes east of downtown San Diego on historic Old Highway 80. Because the climate is one of the mildest in the United States, Sheryl and Marshall Lozier are busy planting, harvesting and crafting all year long. Our farm is nestled in the foothills of East San Diego County in the community of Flinn Springs, California.